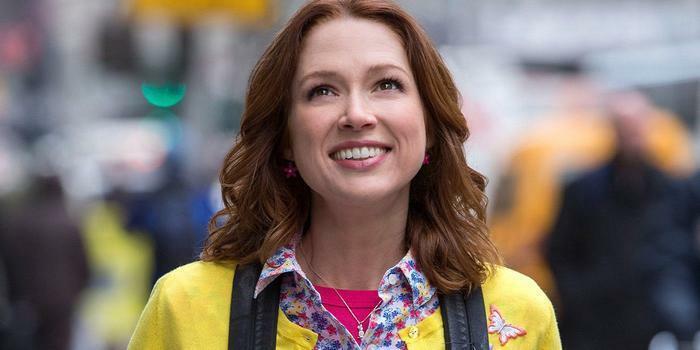 Ellie Kemper as the "Amazing Kimmy Schmidt"
There's lots of great original content on Netflix -- "Orange is the New Black," "Transparent," "House of Cards" -- stuff you can't find anywhere else. That's good but it comes at a price -- not as many old movies. After all, Netflix has been spending truly big bucks to roll out its own original content, so it stands to reason it would have to cut back on how much it spends on other stuff. But would you believe it has chopped its catalog by more than 50%? That's the estimate of streaming blog Exstreamist, which cites ex-Netflix employees as saying the number of titles has fallen from roughly 11,000 to about 5,300 since 2012. In fact, 2012 may have been the high-water mark for Netflix. It hit 11,000 titles but in 2013 started producing its own shows and trimming the number of what we used to call reruns -- old movies and TV series. While there are no doubt those who are missing some of the deleted titles, there's little question the original shows have made Netflix a must-buy for many consumers who might otherwise not find much of interest in its rundown. It basically comes down to a quality vs. content argument. If you just want to zone out in front of the screen and binge on old "King of the Hill" episodes, Netflix may not be your friend. But the gamble it's making is that high-quality original content will be more valuable in the long run than retread material. It's the "content is king" argument. This progression from dusty old favorites to original shows isn't all that unusual. Look at HBO. When it started back in the dawn of the cable era, HBO (which stands, you may recall, for Home Box Office) showed movies, movies, and movies. It gradually began adding sporting events and original comedies and dramas. If you're hard up for something to think about, look even farther back to the early days of television. It basically stuck a camera in front of the actors doing radio shows and only gradually began producing original TV programming. And radio? Well, in the early days announcers read the newspaper on the air. Today, well, sometimes things go in circles.